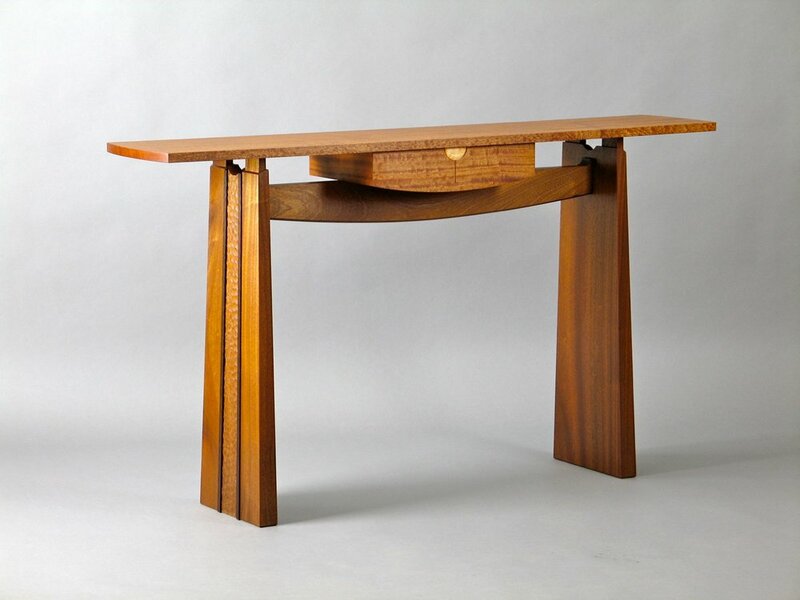 The Dorset console is a versatile design that is adaptive to many wood combinations and proportions. 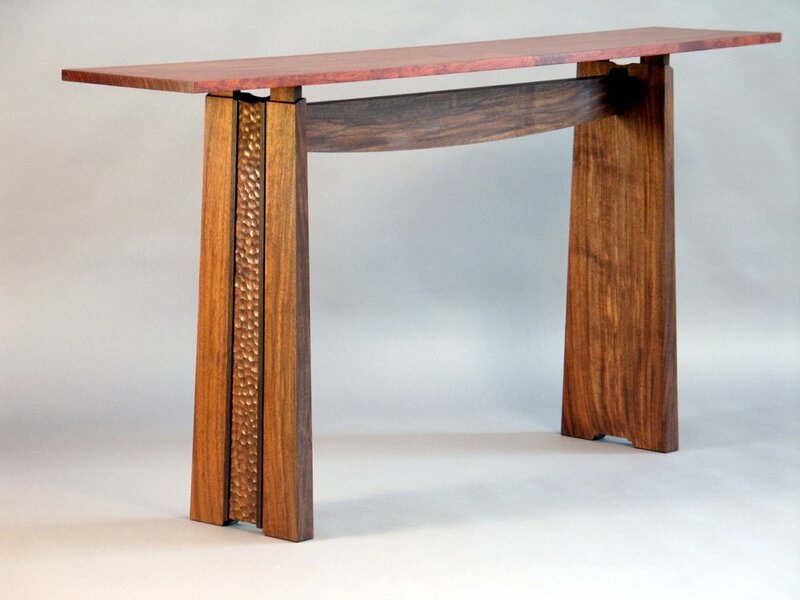 At its core are the tapered legs with inlayed wenge which frames hand- carved texturing. 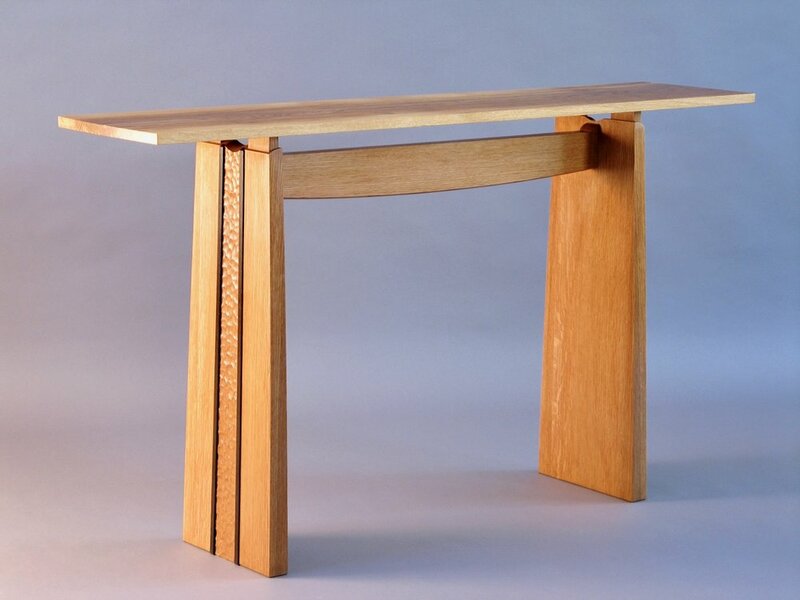 The top provides an opportunity to feature a stunning piece of wood which visually balances the striking leg structure.